Very few proteins completely change the game, and for years bodybuilders were given very few options for protein sources that were scientifically formulated to help build more muscle1,2. As a result, for years you could basically change protein brands every month and see no difference in gains at all. Nitro-Tech is a scientifically engineered, enhanced whey protein formula designed for all athletes who are looking for more muscle, more strength and better performance1,2,3. Nitro-Tech contains protein sourced primarily from whey protein isolate and whey peptides – two of the cleanest and purest protein sources available. 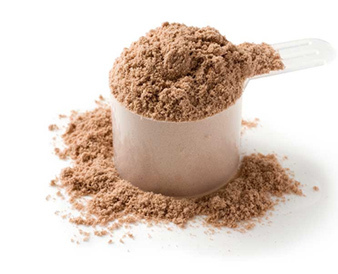 Other whey protein supplements might have only a few grams of these highly bioavailable and easily digested proteins. Nitro-Tech® is also enhanced with the most studied form of creatine for even better gains in muscle and strength3.